This week I am happy to welcome the mysterious Persolaise to answer my People In Perfumeland questionnaire. I say mysterious, because he keeps his identity a secret, his name, his occupation, but thankfully not his opinions on perfume. 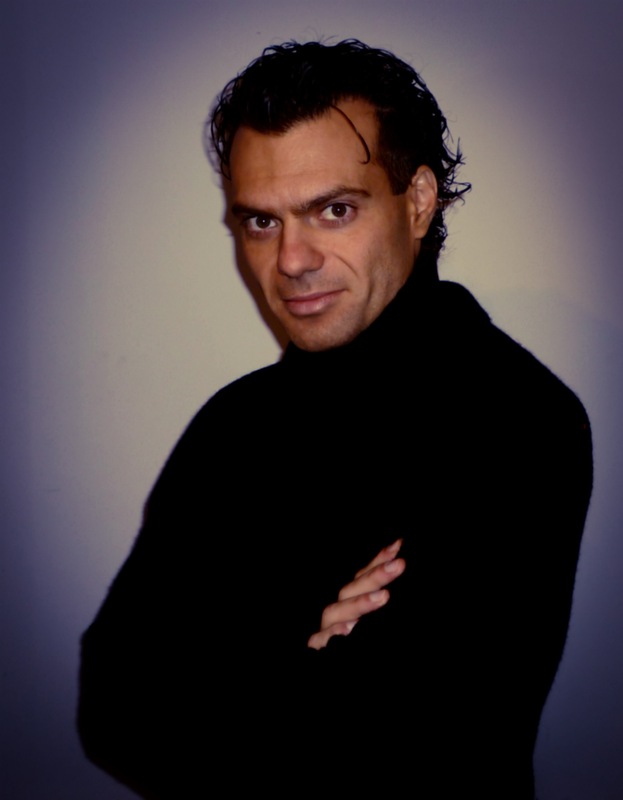 An accomplished writer, he is prolific throughout Perfumeland, aside from his own blog he publishes articles in several magazines and has given us a lovely little volume called “Le Snob Perfume”, where he introduces the uninitiated to the world of niche perfumery in excellent reviews of his favorite scents. Let’s hear a bit about the person behind the pseudonym. A good day starts with… silence. I’d never leave the house without… my mobile phone. I’m irredeemably attached to the thing! I always feel good when… a new recipe works. I’m still looking for a reliable one for brioche. My favorite thing in the world is… driving along a coastal road, with the roof down, the music turned up, Madame Persolaise sitting next to me and the sun shining on our faces. The next thing I want to buy is… very banal: a wifi range extender. The place I always come back to is… my study, where I’m confronted by all my many projects and ideas. My favorite perfume… is impossible to choose. Take your pick from the ones I reviewed in my book. When I travel I always take… plenty of contact lenses, even if I’m going away for just one day. To relax I need… lots of space and tons of time. Both very rare commodities, sadly. When I have a bad day… I try to remind myself that I have so much for which to be grateful. I find my inspiration… when I’m not looking for it. Something I would never want to miss… is an episode of Radio 4’s Film Programme. My last mistake was… a computer error. Honestly. In my fridge there is always… a jar of Polish mustard. It’s the best in the world! On my nightstand I keep… a pile of books I hope to get through one day. The perfect weekend starts with… silence. And maybe some Nutella. My role model is… anyone who can see the big picture and the tiniest details at the same time. This entry was posted in Interview and tagged Fragrance, Interview, Perfume, Persolaise. Bookmark the permalink. Wonderful addition to the series! Thank you to Birgit and to Persolaise for sharing. Thanks for the recipe, Daisy! Will try that too! Oh look, I have Persolaise’s wonderful perfume book on my shelf among other classics of the genre (the now-expanding genre, thankfully) and it’s credited to Dariush Alavi. So hello Dariush! Nice to see you on OT. I so agree about how good it feels when a new recipe works. I’ve even had that happen on Christmas Day, and darn was I proud. I just LOVE these People in Perfumland posts! Now I have to go find his book and his blog! Enjoy your new reading material, Lanier! Oh I am I AM enjoying it. It is after midnight and I should be in bed but look what I have found thanks to you dear one! Thank you! Big Fan. Silence is golden for a good start to the day followed by coffee. 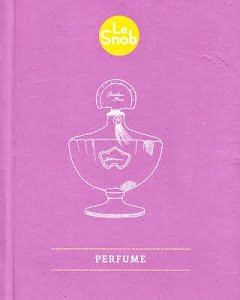 I loved Le Snob Perfume apart from the publishers series’s name. It works for a newbie and for Perfumistas – A Perfume Opus which is helpful, informative with not a word wasted. P.’s book makes a very good gift indeed. Very sweet of you both, thank you! Speaking of perfume books, everyone needs to run out and buy not just Persolaise’s book, but Barbara Herman’s new one too, Scent and Subversion. http://yesterdaysperfume.typepad.com/ Both make great Xmas presents for … well … oneself. I very much enjoy Persolaise on Twitter and can confirm he is certainly a very snazzy dresser. Thank you! That makes me happy! With you on the contact lenses one! Am terrified of sitting on my glasses and breaking them while away. I can recommend the Devolo make of Wifi range extender – in Comet etc. I agree with B that your style is usually colourful, though you are going for the moody ‘Man with Milk Tray’ look here. Enjoyed hearing your answers! “Moody man with Milk Tray” I love it! Funny! Thanks for the explanation, Val. Yes, I’m glad someone explained the reference. As it happens, it’s not the first time it’s been applied to me (a dubious honour!) and I needed an explanation too when I first heard it, as I grew up in a Cadbury-free zone. Nutella…who would have guessed….really enjoy this series. Tomate, unless I’m mistaken, Amazon USA lists quite a few American sources of the book. And I believe Amazon UK will ship it across the pond, although I suppose that would make it a rather expensive purchase. Persolaise is someone who writes perfect perfume reviews: I just wish his book had been about ten times as long (and also that he were on wordpress, as then I would be commenting all the time on his posts). He has a very succinct, but somehow deep, way of summing up perfumes; a brilliant turn of phrase. Amen Ginza, that site is Byzantine to comment on and I always give up at the CAPTCHA text (which is too small to read) after writing some pithy pertinent comment. I even joined Blogger to ease the login but still too difficult. As for the book, let’s hope this is another one. I could have read 10 times more content too but he covered so much so succinctly. I learnt a lot. Yes! It was that bloody stupid are you a robot thing! The captcha rubbish. I also wrote extended comments only to see them disappear frustratingly into the ether. I have almost hurled my mobile on several infuriated occasions. Dariush if you are reading, please switch over to our side! Same experience. I cannot reconstruct stream of consciousness sentences and comments in a public conversation environment. I agree. He is very succinct and to the point and doesn’t mince his words. ..but it is always aesthetically pleasing too, and that is the most important for me. Thank you all for the very, very kind words. No wonder my ears were burning on Wednesday! I’m really sorry that some of you have trouble leaving comments on my blog; I’m aware that it’s a problem experienced by a few people here and there. I honestly don’t know what the cause of it is; it seems to be some kind of a conflict between Blogger and certain browsers. The ‘word authentication’ system was removed a little while ago, so perhaps that’ll make things easier now. I’ve also found that Blogger is definitely not iPhone/iPad/iPod friendly if you use Safari. Using Google’s Chrome browser on Apple devices seems to make things run a bit better. But anyway, it’s so gratifying to know that you enjoy reading my work. I couldn’t agree more – time is a precious commodity these days, one I cherish all the more for it.